"LEADERSHIP: It Starts With Us" is the theme for the summer 2019 Student Council Workshop to be held at Emporia State University, July 21-26. Last year over 350 student leaders took advantage of the week’s activities to learn more about student council, to become involved with workshop experience and to strive for a clearer understanding of student council and its place in today’s schools. The registration fee for the workshop is determined by the cost of housing, meals and materials. This year’s fee will be $295 per delegate or advisor for five nights, 14 meals, materials, instruction, insurance and a fabulous experience for everyone. Online registration process continues for workshop. The online registration form is available behind the coach/sponsor login (Activities>STUCO) and administrator login (Entry Forms>May). The STU-2 will not be necessary as you and your activities director will receive an invoice with each registration. Registration is available until May 31, 2019. Schools are reminded that StuCo Workshop is designed for a student to attend twice during their high school career for the basic and then advanced curriculum as a first year delegate or a second year advanced leader. There is no limit on the number of advisors who may attend, and middle/junior high school advisors are welcome! Wahoo! Ted Wiese will be back as the Opening Keynote Speaker of the 2019 Student Council Leadership Workshop at Emporia State University on July 21. He will also be presenting interactive breakout sessions the following day, July 22. Known as one of America’s best youth leadership development speakers, Ted Wiese works with thousands of students every year to teach and enhance their leadership skills. Ted is in the business of making students believe they can make a difference - and he teaches them how to do it! From starting his career with Junior Achievement to establishing Wiese Training and Development, LLC, Ted’s dynamic and engaging programs have gained him a strong reputation for delivering results. For years, the students at Ted’s presentations have laughed while they learned. 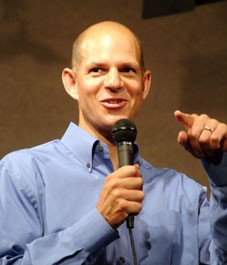 His fun-filled keynotes contain contagious laughter coupled with a strong message, while his activity-oriented workshops develop student leadership skills in an energetic, highly interactive, humorous and effective manner. With wit, wisdom, real-life stories and a whole lot of fun, his programs leave students with information and skills to take back to school, ideas to put into action, and something good to talk about in the days and months ahead. Joining Mr. Wiese in the interactive breakout sessions on July 22 will be Kim Karr. She will also deliver a keynote presentation on July 23. Kim is the co-founder of #ICANHELP, a non-profit organization committed to empowering students to play an active role in improving the online environment and educating students to use social media positively. Visit the website ICANHELPDELETENEGATIVITY.ORG. Anxiety, depression and suicide have increased 37% since smartphones, according to Pew Research. How do we train students to control their device instead of devices controlling them? Kim proposes . . . let students inspire other students on how they are taking control and using digital for good. #DIGITAL4GOOD is an event spearheaded by #ICANHELP. 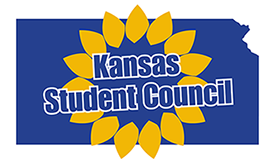 Student Councils can take the lead and help spread this important message in Kansas schools.